You are invited to VASTFEST! VASTFEST is a fun holiday social and shopping event that takes place December 5th, from 5 pm – 8:30 pm at the Patterson-Appleton Arts Center, 400 E Hickory St, Denton, TX. You are invited to a presentation by Multimedia Artist Angelia Ford on April 4th, from 6:45 – 9:00 pm, at the Patterson-Appleton Arts Center, 400 E Hickory St, Denton, TX. The Visual Arts Society of Texas (VAST) invites you to a presentation by artist Justine Wollaston entitled: “Who Am I Kidding? Stuff I’ve learned as a Professional Creative.” The presentation takes place March 7th, from 6:45 – 9:00 pm at the Patterson-Appleton Arts Center, 400 E Hickory St, Denton, TX. You are invited to a presentation by Jane E. Jones sponsored by the Visual Arts Society of Texas (VAST), on Wednesday, January 3, 2018 from 6:45-9 p.m., at the Patterson-Appleton Arts Center, 400 E Hickory St, Denton, TX. You are invited to a presentation by Jim and Brandy Gilliam of Cadillac Art & Frame of Little Elm on the business of framing your artwork on Wednesday, September 6th from 7-9 p.m. , at the Patterson-Appleton Arts Center, 400 E Hickory St, Denton, TX. You are invited to “Digital Characters and Design: A presentation of work by Ben Faubion, Pad.co Creative Director and Minicrew artist,” April 6th, 2017, from 7 – 9 p.m., at the Patterson-Appleton Arts Center, 400 East Hickory St, Denton, TX. April 10th – 12th, at the Patterson-Appleton Arts Center, 400 East Hickory, Denton, Texas 76202. You are invited to a presentation by Mike Moffatt and Art-Hunger at the Visual Arts Society of Texas’ (VAST) March monthly meeting, on Thursday, March 2nd, from 7-9 p.m. at the Patterson-Appleton Arts Center, 400 East Hickory St, Denton, TX. You are invited to the Second Annual VASTFEST on December 1st, from 7 – 8:30 p.m., at the Patterson-Appleton Arts Center, 400 East Hickory St, Denton, TX. VASTFEST is a Holiday Social and Shopping event. This event child-friendly, free and open to the public. 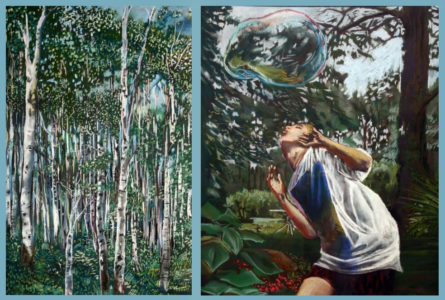 You are invited to “Not All Who Wander are Lost,” a presentation by Artist Gail Cope at the Visual Arts Society of Texas’ (VAST) monthly meeting on October 6th, from 7 – 9 p.m, at the Patterson-Appleton Arts Center, 400 East Hickory St, Denton. You are invited to a presentation by Mary Karam at the Visual Arts Society of Texas’ (VAST) monthly meeting on September 1st, 2016, from 7 – 9 p.m. at the Patterson-Appleton Arts Center, 400 East Hickory St, Denton, TX. Please join VAST on Thursday, May 5th from 7-9 p.m. for a presentation entitled “The Art of BUGS” by watercolor artist Walt Davis .